No where else in Spain can you find a lively, elegant city with a beach only metres from its centre and a friendly ‘village’ atmosphere that is open for business 12 months a year? If you have yet to discover this user-friendly city as a short break destination, then take a look at why this hidden gem is becoming increasingly popular. There are not many better places to have a football academy! 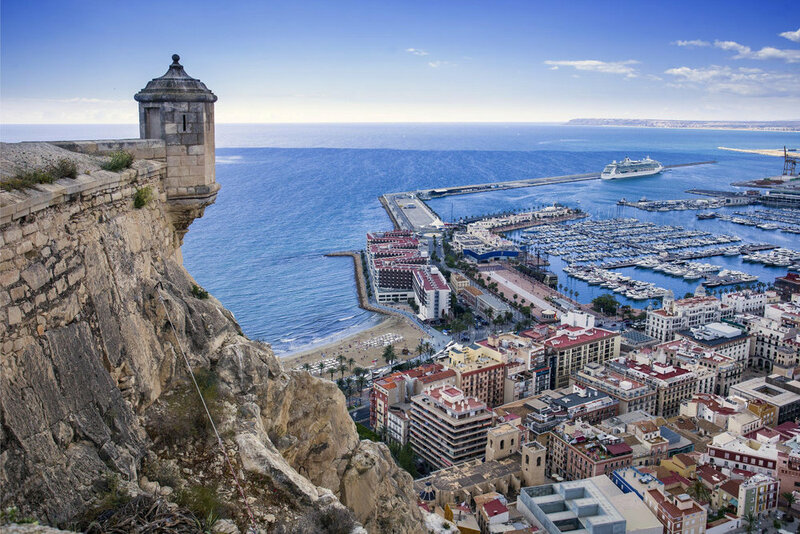 The city of Alicante has fashionable shops, first class hotels, a modern marina and, in its super new tram system, a user friendly and economical means of transport. Crammed full of history and culture, its museums, galleries, churches and monuments are the perfect foil for some time away from the beach. And all of them can be easily seen in a city break! Just take a look at our suggested walking tour. On hot summer nights enjoy open/air concerts in the elegant green spaces of the parks and public squares of the city, whilst its modern promenadeslined with cafes, bars and restaurants give the city a cosmopolitan feel. And with everything minutes from the clear blue seas, it’s not difficult to spend the whole day and evening by the Mediterranean. In the evening the ‘village’ of Alicante bursts into life as the quaint, colourful streets of ‘El Barrio’ open for business. Packed with hip bars and less mainstream restaurants, the streets draw crowds of people as the sounds of live Jazz and Rock music permeate the air. El Altet airport is now served by many budget airlines flying directly and cheaply from Britain. Only ten minutes by car from the airport, with a regular, cheap bus service and a taxi fare of only €15 the city is easily accessible. And with the wonderful winter climate - where else could be so accessible for that break from those cold, grey days? For those who want a quieter break, yet within easy reach of the city - choose either the district of San Juan with its stunningly beautiful beach, or the characterful El Campello with its bijou fishing harbour. Both are easily reachable within a short time on the modern tram system - and the views on the journey are thrown in for free!